Over the past century, Thailand’s elephant population has decreased significantly—from as many as 100,000 a century ago to a mere 4,000 today. 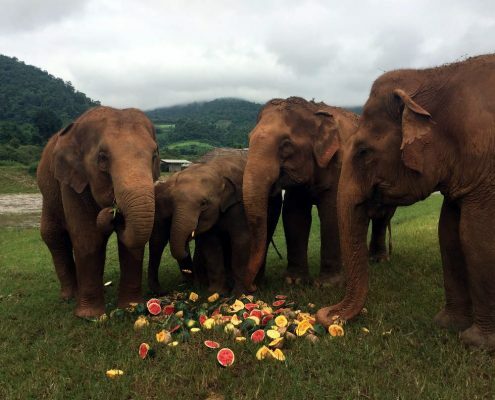 Adult elephants consume 200-600 pounds of food every day and up to 50 gallons of water, so it’s no wonder that these gentle giants aren’t so gentle on farmland, which covers 43% of Thailand. Our spotlight service project in Thailand serves to provide farmers with alternatives to using harmful deterrents on elephants, we build dams and salt licks on a national reserve, where elephants can go to get necessary water and nutrients without being shooed by angry farmers. We also plant trees for food and habitat, chat with farmers interested in working with conservationists, and stay at an eco-reserve that serves as a corridor between the government-owned wildlife sanctuary and a major river where animals access water at night. 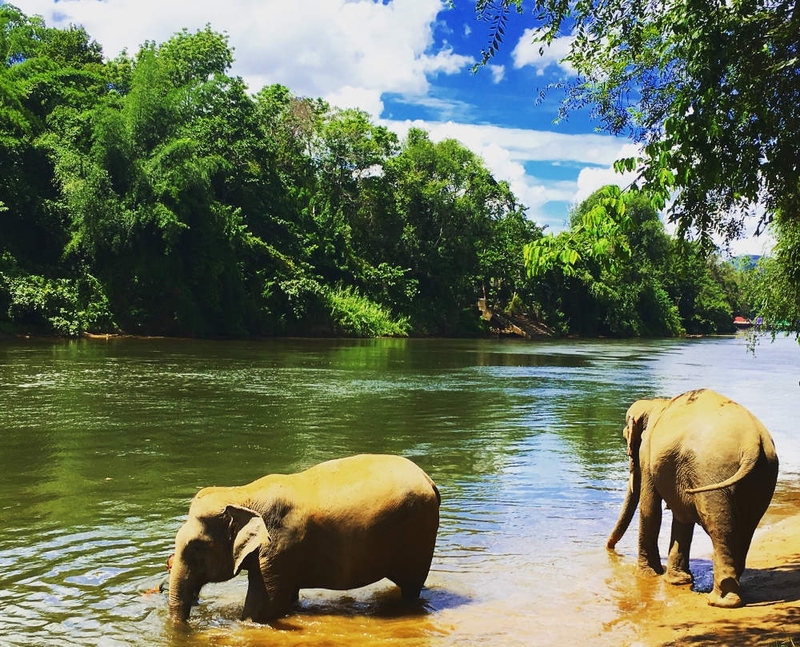 We’ll keep a watch out for wild elephants on the reserves, and we’ll spend plenty of time up close and personal with them too, visiting elephant sanctuaries in Kanchanaburi and Chiang Mai provinces. Immerse yourself in Thailand’s remarkable diversity as you embark on a journey through exotic jungles, bustling city streets, tropical island waters, and lush rice fields. Bond with rescued elephants as you feed, bathe, and explore with them. Learn about their history and biology from local conservation experts, then whitewater raft the Mae Tang River through lush jungle forests that wild elephants call home. 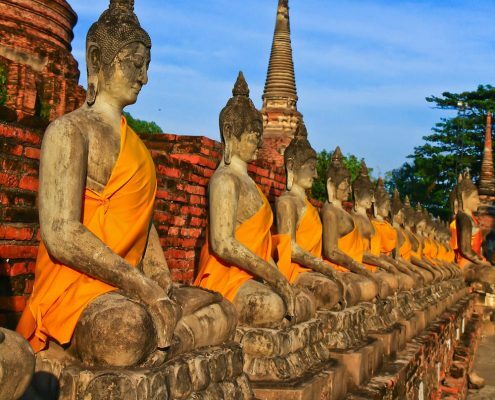 Learn to cook traditional Thai delicacies and explore the temple wonderland of Chiang Mai, catching the chance to chat with Buddhist Monks and practice an afternoon of meditation. SCUBA dive spectacular multi-colored coral reefs and search for dugong among stunning karst peaks along the shorelines of islands in the Andaman Sea. Ensure a safer future for wild elephants by granting access to scarce water, food, and nutrients and learn the value of contributing to a country rightly named The Land of Smiles. 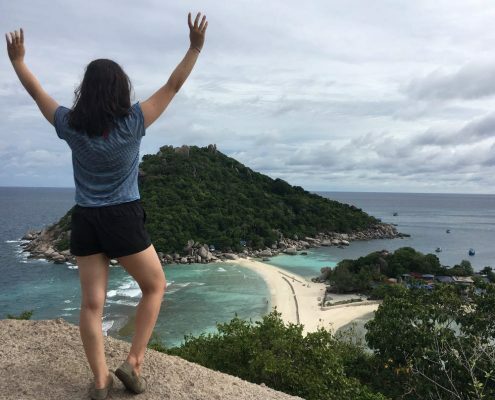 Our summer volunteer program in Thailand begins at San Francisco International Airport (SFO) where students meet their leaders and group then fly to Bangkok. Upon arrival, we receive a Thai language and cultural orientation from our Thai hosts. 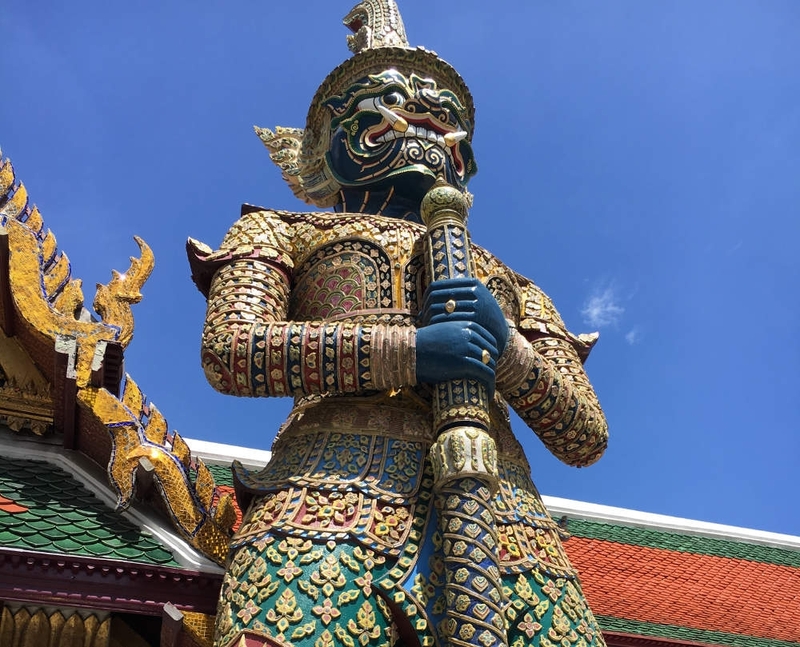 We further orient ourselves to this diverse country by walking through colorful markets, practicing the martial art of Muay Thai, and eating some famous coconut curries. Leaving the hustle and bustle of the city, we head for a village in the rice fields, learning rice harvesting techniques from the local farmers and playing in the fields with local school children eager to practice English with native speakers. 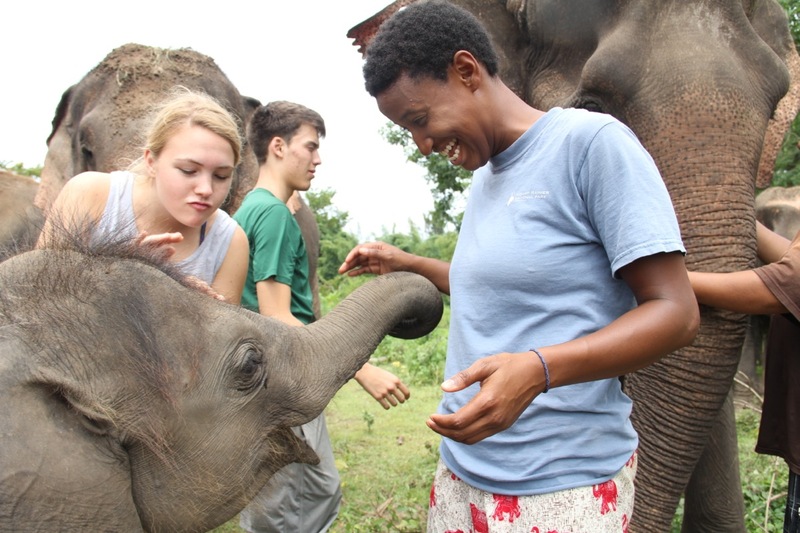 Our elephant conservation journey begins with a volunteer project at a respected nature preserve and self-sustaining eco-village tucked away in lush, forested wild elephant habitat. We float the river through the jungle to this protected land, which serves as a corridor for wild elephants and a variety of other native wildlife. Over the next few days, we build dams, create natural salt-licks in the jungle, plant trees and of course play with the massive creatures we seek to protect. We leave with a good understanding of Thailand’s struggle to maintain wild elephant populations while taking care of captive populations. 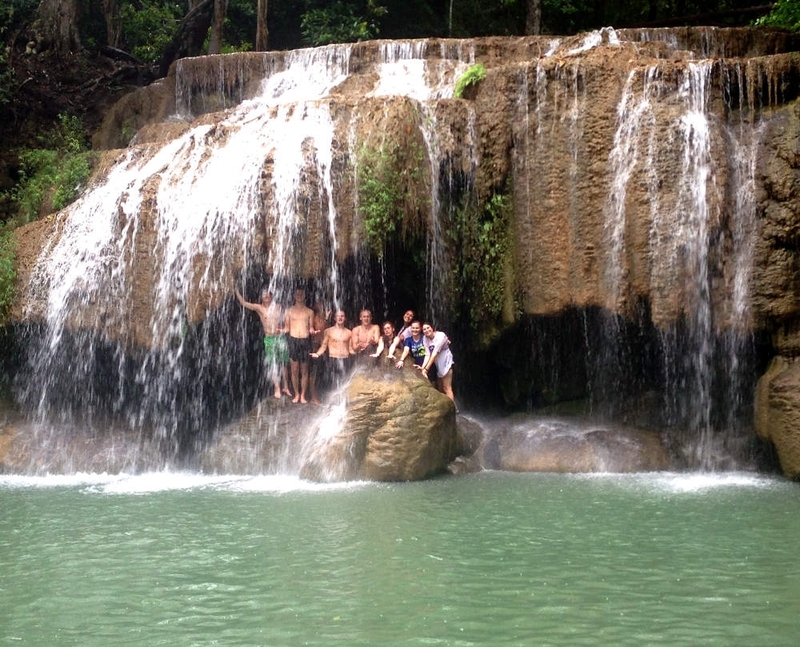 After a day swimming in the turquoise waters of Erawan falls, we leave at night on an overnight train bound for Chiang Mai in the north of Thailand. 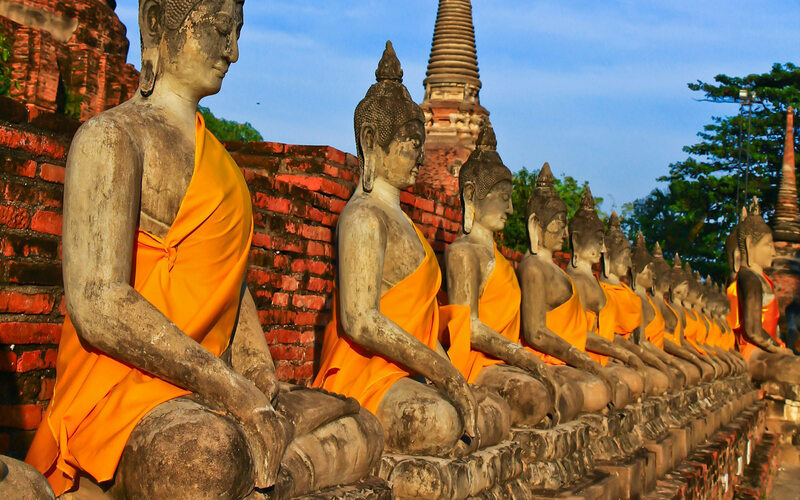 Chiang Mai is the capital of the north, complete with its very own history, traditions, and style. 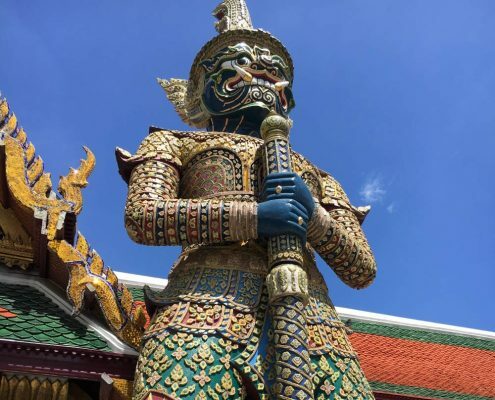 We learn about this Lanna culture as we visit Chiang Mai’s many temples, learn to haggle in the colorful markets, and take an all-day cooking class. 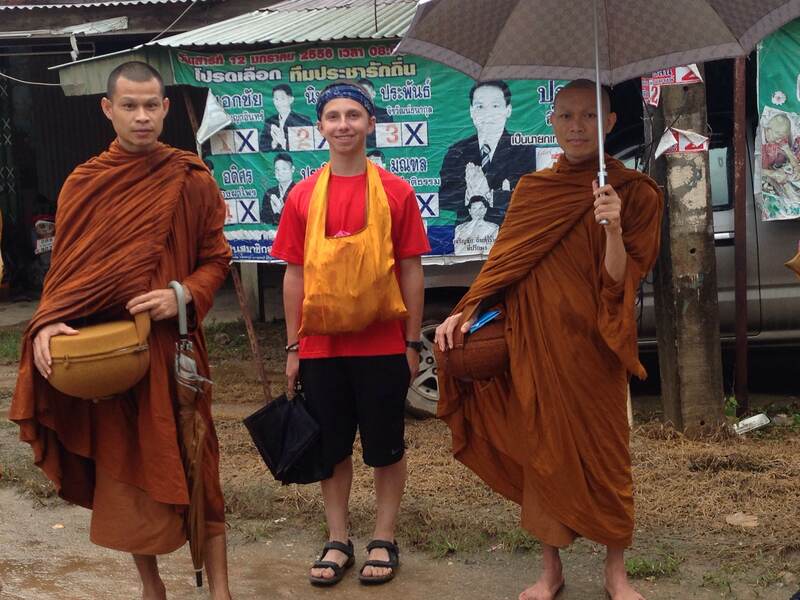 We also get the chance to chat with Buddhist monks who live in the local monasteries. 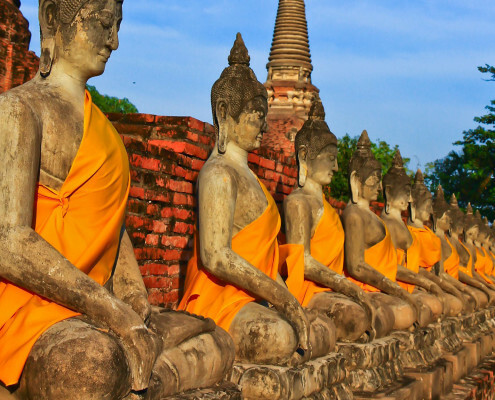 They’ll walk us through different types of meditation, and answer any questions we have about Thailand’s largest religion. 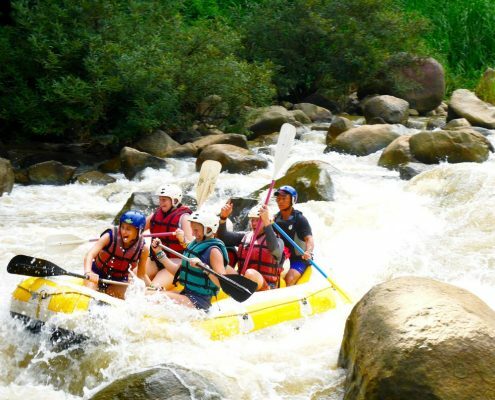 In the hills of Northern Thailand, we raft the Mae Tang, with class four rapids and first class jungle views! 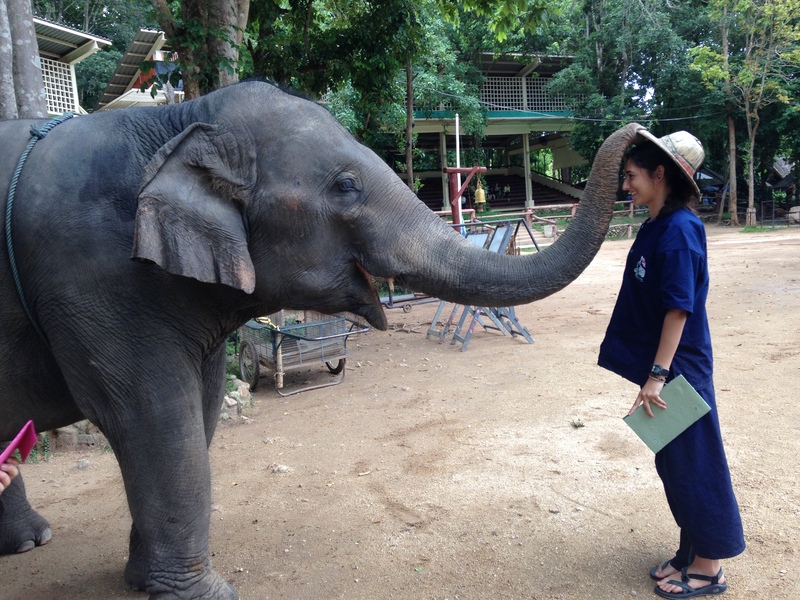 To build upon our new knowledge of Thai elephant conservation and immerse ourselves in the daily routine of elephant rehabilitation, we partner with an elephant rescue and rehabilitation center dedicated to healing and protecting formerly mistreated elephants. 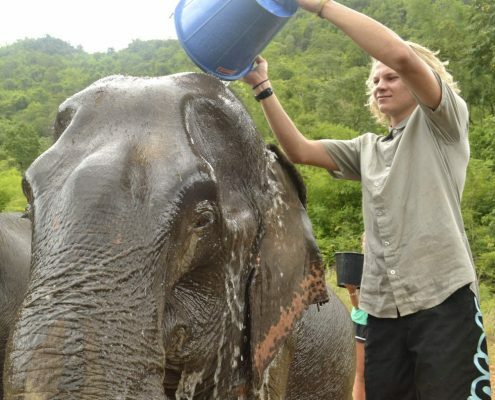 Our three days here allow us to gain perspective around the different approaches to elephant conservation work and tourism throughout the country. 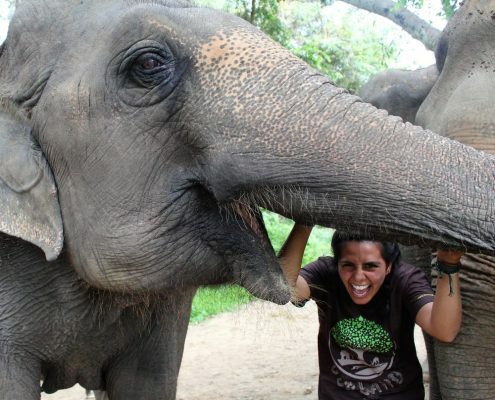 During our stay, we volunteer to help with the rehabilitation of elephants and many other animals, and spend quality time with healthy elephants that now live in an open, natural, forever-home after being retired or rescued from trekking camps. 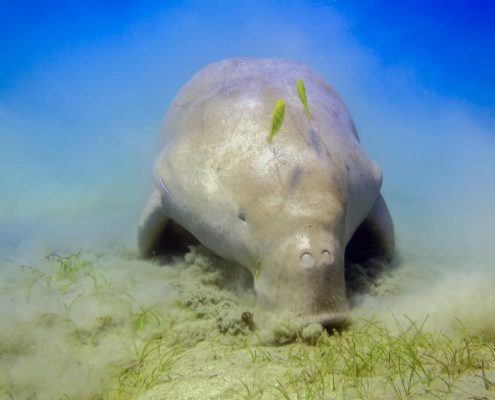 In Southern Thailand, we search for an even more elusive relative of the elephant – dugong. These massive sea cows once fooled lonely fishermen into thinking they were beautiful mermaids, but now they are almost as endangered as the mythical creatures they pretended to be. For our final community service project in Thailand, we’ll help provide habitat for them by planting sea grass, and learn how local fisherman are working to preserve sea life in the wake of growing human populations. 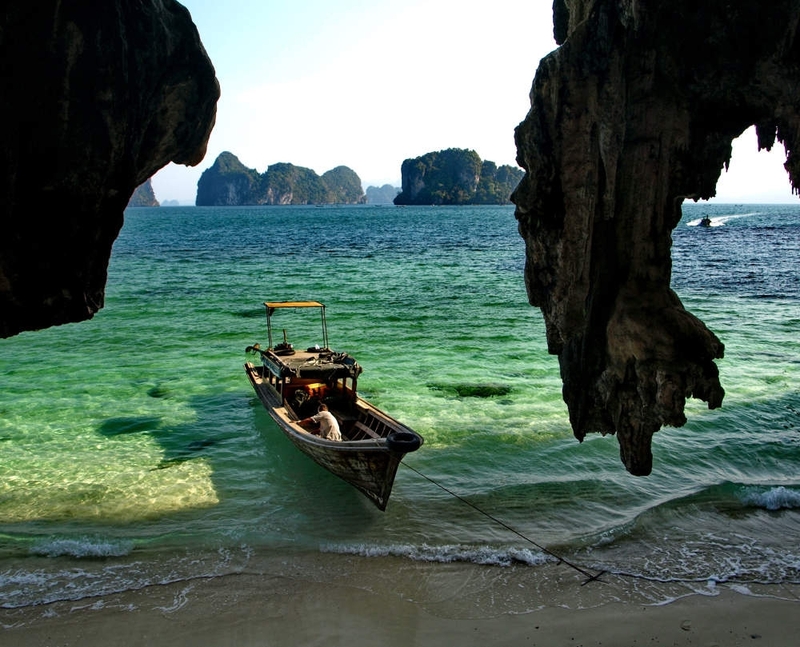 We’ll also spend time on the beach, immersing in local culture and exploring the karst islands the Andaman Sea is famous for. 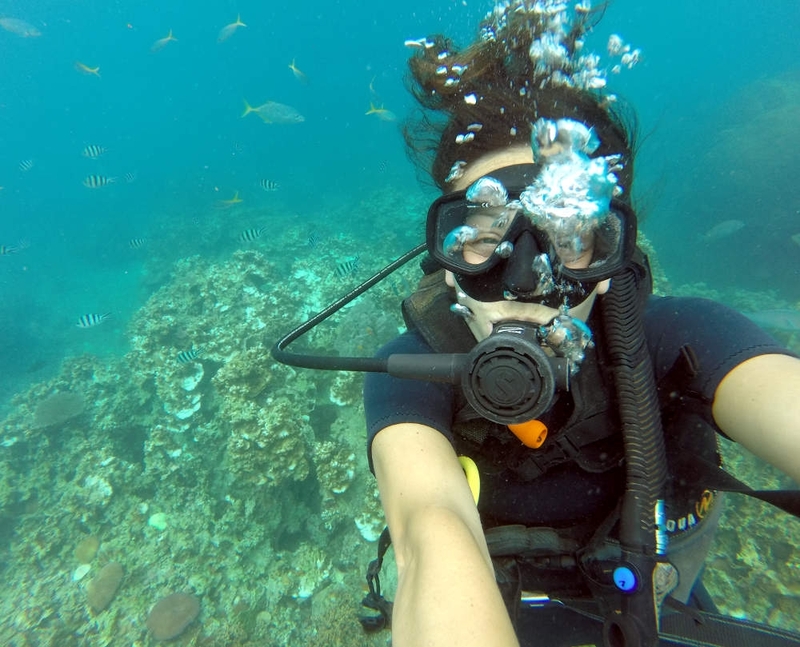 Reefs teeming with exotic fish, sea turtles, and soft corals lure us to Koh Tao, our island home for the next five days. 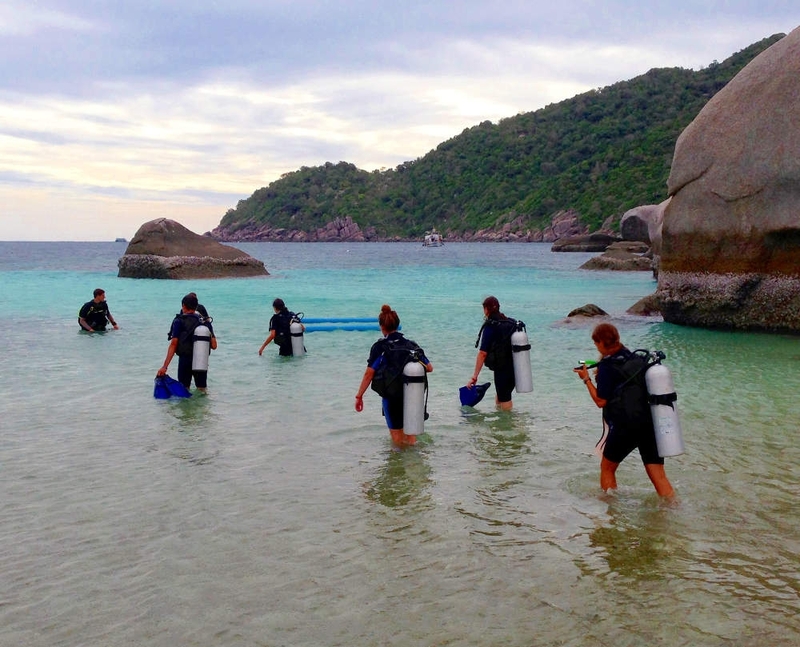 In these crystal clear waters, we become PADI Certified Open Water Divers, or upgrade to PADI Advanced Open Water Divers. 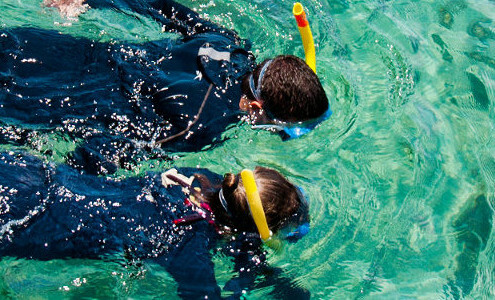 (All students wishing to SCUBA dive must pass a thorough diving physical and cannot have used an inhaler or suffered from asthma in the past three years. 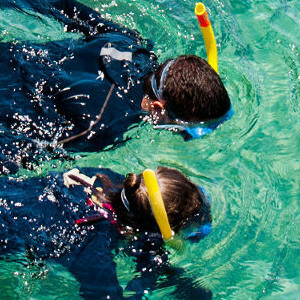 For those not wishing or unable to dive, alternative water activities are available.) 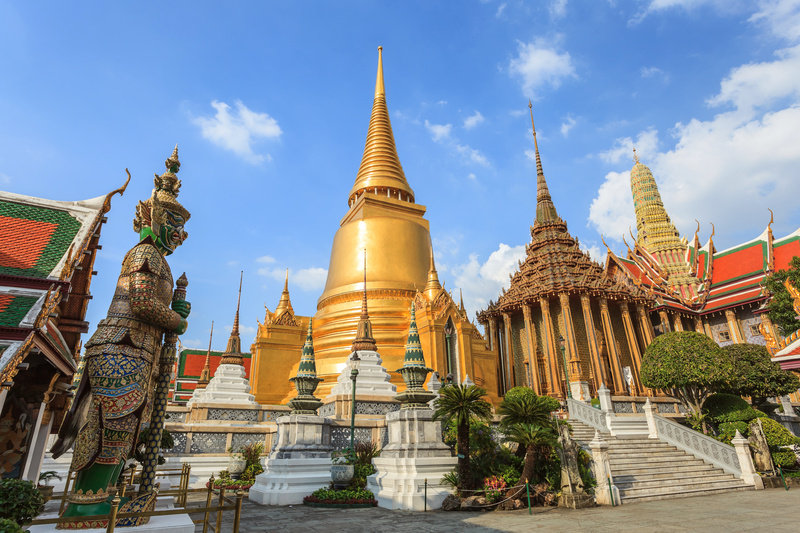 We soak up the island sun, spend time collecting our final souvenirs, then travel by train back to Bangkok for a final day exploring Thailand’s must-sees, including the Grand Palace and Wat Pho. We have a final celebration and bid a warm goodbye to The Land of Smiles. Each program has a specific packing list that has been designed to fit the program’s activities, length, climate and cultural differences. 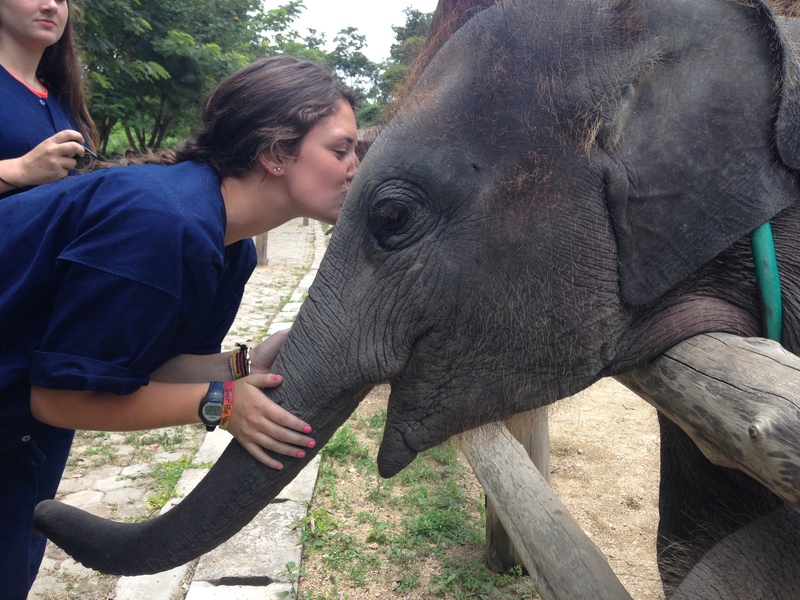 Please click here to view the Thailand: Elephant Experience packing list. 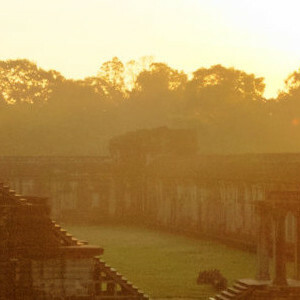 Most of Thailand, with the exception of the mountainous regions in the north, can be described as hot and humid. Day-time temperatures in the summer months usually fall in the mid-80’s, with an average humidity of 66% to 82%. In the northern hill-country, where we will be trekking, temperatures can fall into the 50s, and it can get quite chilly in the evenings. 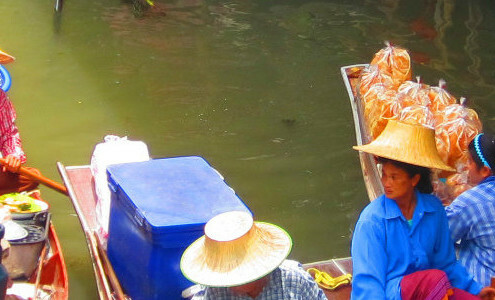 Also, while it is not quite the rainy season in Thailand when you will be there in July, it has been known to rain frequently in the areas that we travel. 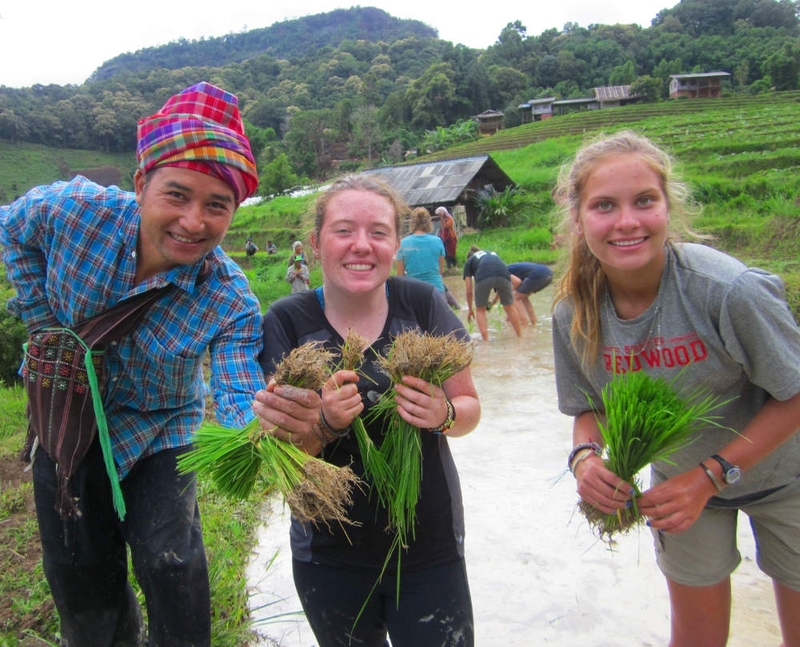 ARCC has been operating programs in Thailand for several years, and we have built relationships with a variety of individuals, small communities and organizations who enjoy hosting ARCC student groups. 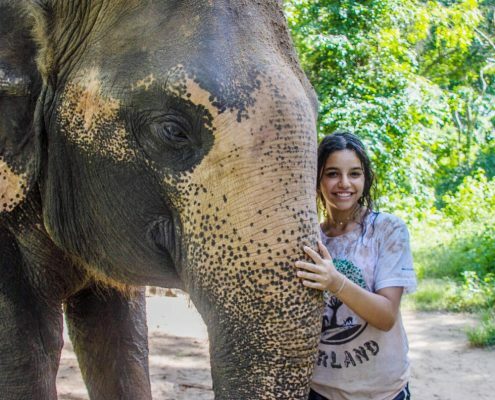 On this program, we participate in two elephant service projects, one at a Conservation Center and the other at a Rehabilitation Center. 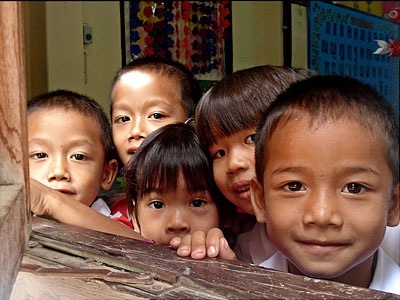 We also spend time living and working in a remote Hill Tribe village. The specific service projects that each group will work on in this village depend on what is most needed in the community at the time. Projects could include building a bamboo bridge for safe access to the school in wet season, a village meeting house, a playground, or making renovations to a school. 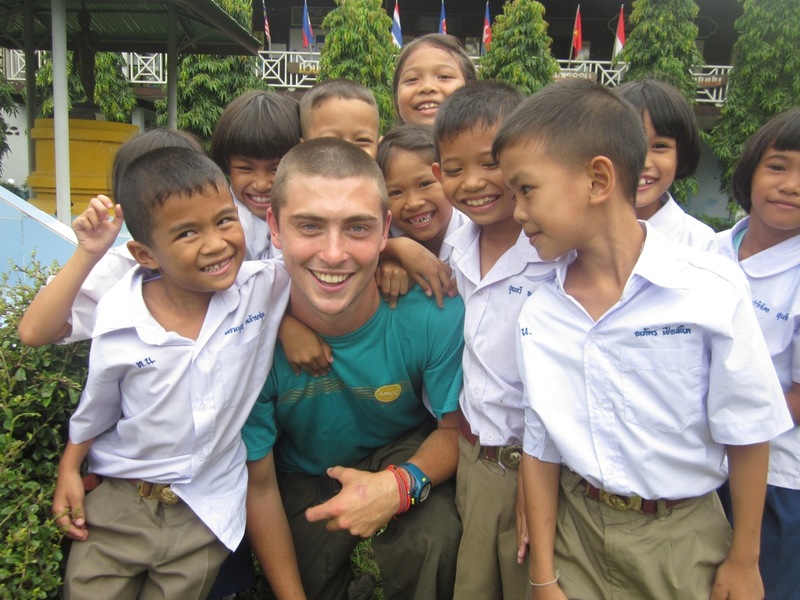 We also spend several days teaching English to local schoolchildren. 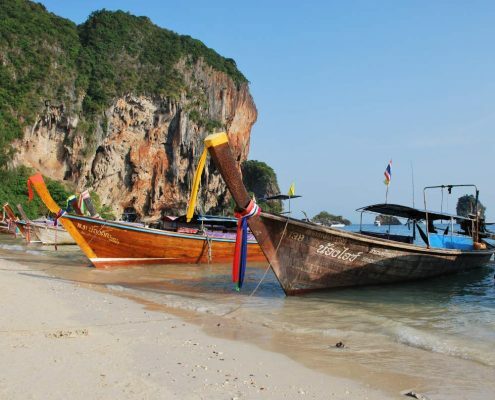 What kind of health precautions should I take before traveling to Thailand? Thailand is a relatively clean and safe place to travel. However, ARCC does recommend that you take some health precautions before your trip to Thailand. When you enroll in the program, you will receive more complete information on pertinent travel vaccinations and immunizations. Please also refer to the Traveler’s Health section of the CDC website. Our leaders carry a full first aid kit, and are all certified Wilderness First Responders (WFR). 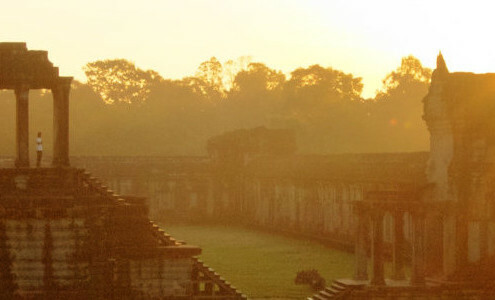 During this program we sleep in a variety of accommodations: small hotels, beach bungalows, guesthouses, dorm style bungalows, a monastery and overnight trains. 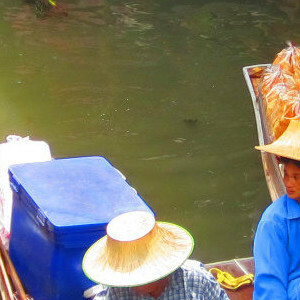 What is the transportation like once we are in Thailand? 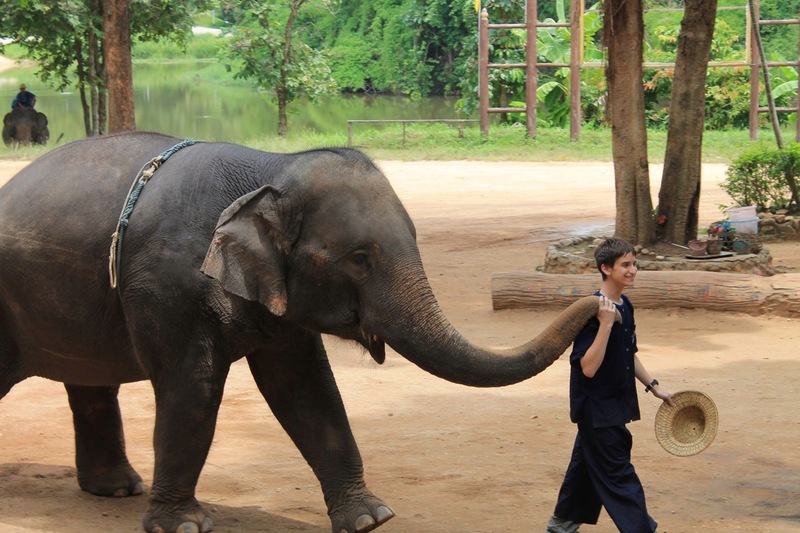 We use a variety of transportation on the Thailand: Elephant Experience program. We travel by train in overnight sleeper coaches, private busses, ferries, and local busses. 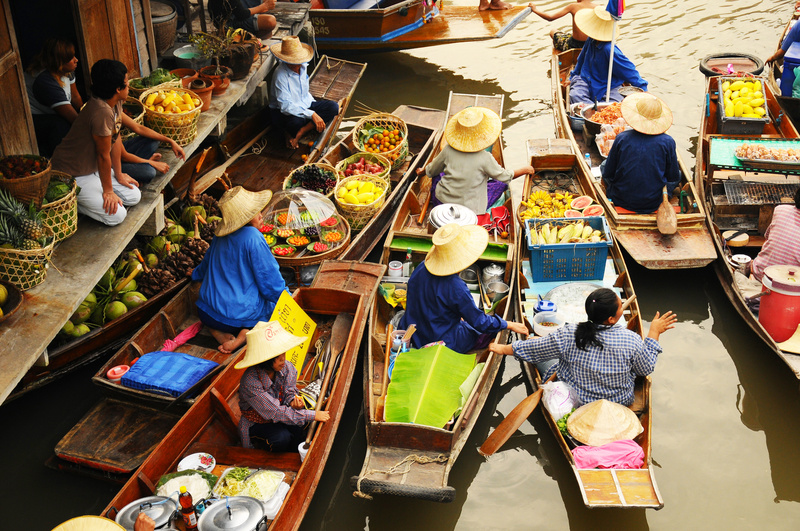 We will have the opportunity to sample traditional Thailand cuisine such as noodles (like Pad Thai), curries, spring rolls and fresh fruits. We will also be taking a cooking class to learn how to cook all of our favorite dishes! 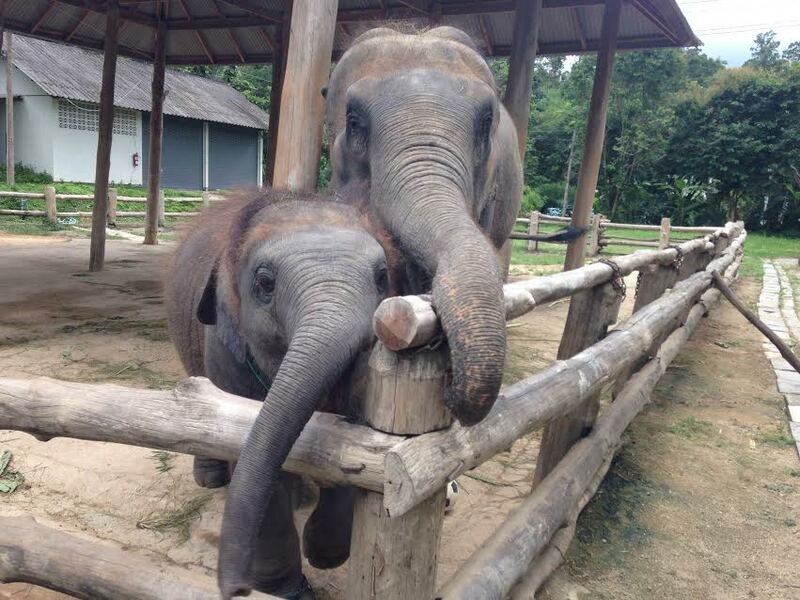 For Thailand: Elephant Experience, ARCC recommends that you bring an additional $300 of spending money. You should bring this money in the form of cash (small bills are best) and also bring an ATM/debit card with you. Thailand uses the “baht” as currency and there are approximately 32 Thai baht to every US $1. 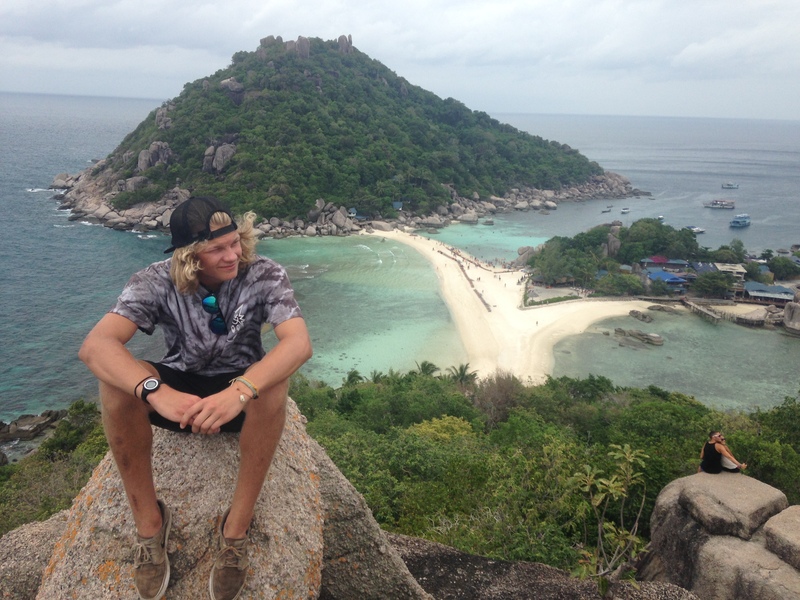 Yes, all students traveling to Thailand need to have a valid passport. Please make sure the passport expiration date is at least six months after you travel. Passport applications are available at the post office. 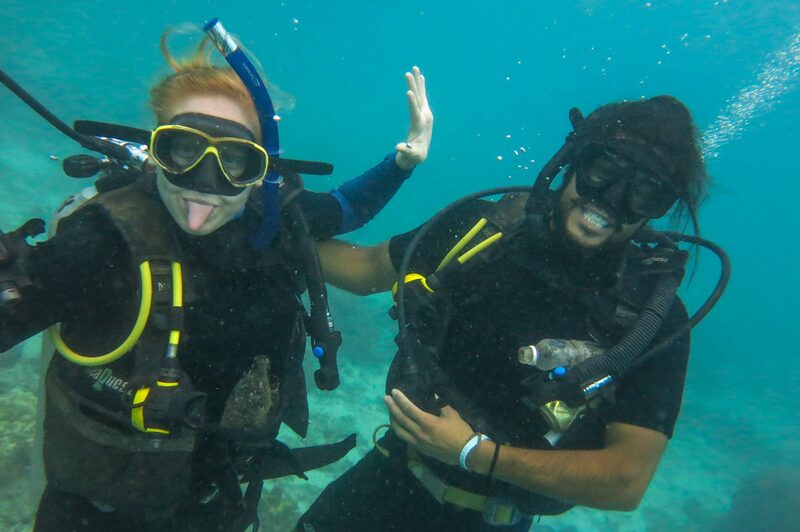 If you do not already have a passport, you should apply for one as soon as you enroll in this adventure. It normally takes six weeks to process a passport application. No. US and Canadian citizens do not need a visa for this program (unless you plan on staying in Thailand before or after the program). What is the time difference between Thailand and the USA? 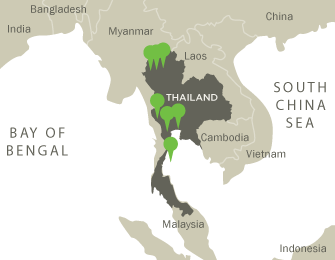 All of Thailand falls within a single time zone. While on your program in Thailand, the time will be 11 hours later than New York (Eastern Time), 12 hours later than Chicago (Central Time), and 14 hours later than San Francisco (Pacific Time). We have the chance to live amongst some people who have the very basics for survival. With education being a tool to better their lives, basic school supplies are welcomed with open arms. Pens, pencils, notepads, and books are widely accepted. 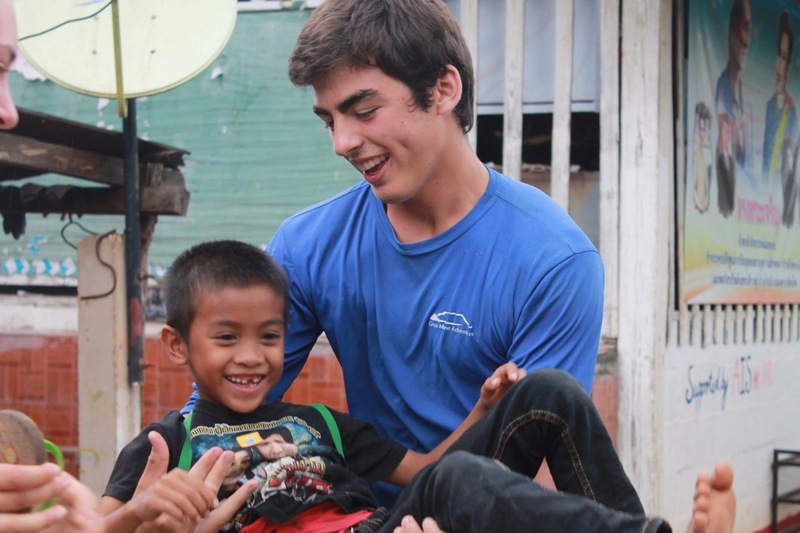 Soccer balls are also an incredible way to cross the cultural border and share smiles. Because of limited space on our vehicles ARCC would ask that every person to bring no more than a gym bag of goods to donate. 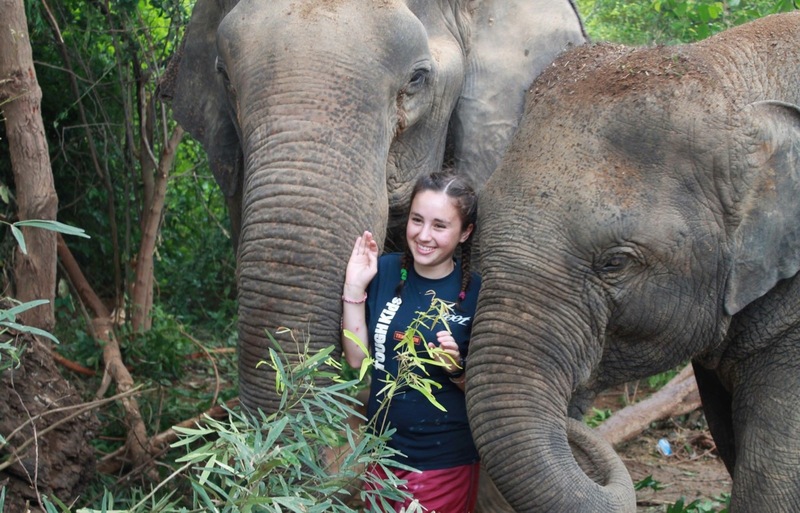 What is the difference between Thailand: Elephant Experience and Thailand: Hill Tribe Impact? Our Thailand: Elephant Experience program is not only two weeks longer, but is geared towards students who are eager to work more closely and extensively with elephants and gain a deeper understanding of elephant conservation in Thailand. 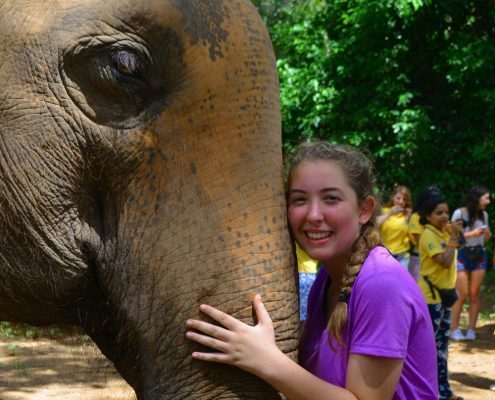 Students on the Elephant Experience program volunteer at two different elephant conservation projects, while the Thailand: Hill Tribe Impact group visits one to allow for more varied service work during their two weeks in country. 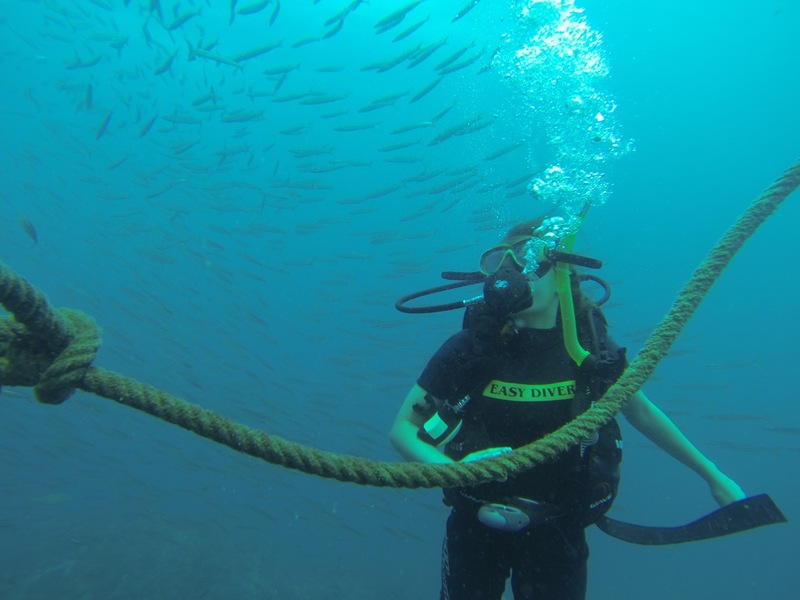 Students on our Thailand: Elephant Experience program also pursue SCUBA certification.